We're all geared up for a new year with The Social Media Club of Cache Valley! For our first meeting, we are having a Tweetup on the patio of Elements Restaurant on Tuesday, September 13th, 2011 from 6:30-8:30pm. Both the regular dinner and dessert menu and options from the bar menu like burgers and fries will be available to order from. Each party is responsible for their own check. So come and network, mingle, tweet and have a great time! Please spread the word on your social media sites! 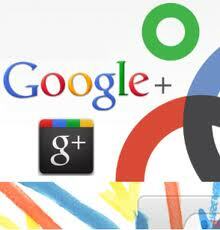 Are you wondering what all the chatter about Google+ is about? Would you like to learn more about it? Then join us on August 9th at 6:30pm to delve into Google+ and find out how you can implement it in your social media structure. We will be meeting at The Bear River Health Department: 655 East 1300 North. We will be in rooms 153 and 154. Enter at the furthest east entrance. More "Hands On Social Media Training" at this month's SMCCV Meeting! Our segment on social media training last month was so successful we are going to put on another training session on Tuesday, March 8th, at 6:30-8:30 pm. We will be offering sessions on Facebook and Twitter and will have segments for the beginning and advanced users. Come and join us on Feb. 8th, 2011 at Bear River Health Department for our monthly SMCCV meeting! We will be having training stations so that people can get help and get tutorials on Twitter, Facebook, 4-square, etc! Come find out how media consultant Jason Williams trains political candidates to use social media and what new ideas the Utah Legislature will be using in the 2011 session. There will also be time for Q&A with local candidates on how they used social media in their recent campaigns. It's that time of year again, folks! The Social Media Club of Cache Valley is back in session and we are kicking off the 2010-2011 year with an Eat and Tweet at Cafe Sabor, Tuesday, September 14th. Admission is $10 and includes dinner (your choice of 5 entrees), non-alcoholic drinks, tax and tip. Pay at the door. Feel free to RSVP on our Facebook page! We will be having a Tweet Up on Tuesday, May 11th at Cafe Sabor at 6:30pm! Please come for free drinks and a free appetizer and join us for fun and discussion about all things "social media'!! The Social Media Club meeting planned for tomorrow night (April 13) has been cancelled. Stay tuned for an announcement about the May meeting. The Social Media Club of Cache Valley is having its "Ask the Expert" night at Borders tonight in Logan. If you can't join us, you can follow along on the live blog here. 8:03 - Meeting adjourned. We'll probably meet at the Health Department next time. Details to come. 7:48 - We're now talking about Google Wave and the pros and cons. Will it catch on? 7:36 - Dave South in the house. Suggests lite.facebook.com as a lite version of Facebook if you hate all the updates and such. 7:26 - What is the etiquette of DMing vs. @replying in Twitter? When does it become a nuisance to have a conversation with someone over @reply on Twitter? 7:21 - Loralee is talking about setting up lists and how one of her lists is called "McLesbians." She says it's a life saver for keeping everything straight. You could have Logan natives, Logan natives friends, USU students, you could have as many lists as you want. It's handy for keeping all your followers straight. 7:09 - A discussion is evolving about Twitter applications. We might get into this at a coming meeting in more details. 7:04 - Jill is explaining why she won't add friends to her Facebook account. Only family. 7:02 - Sterling Matheson, co-owner of Pounders, is talking about his success getting fans on Facebook. Everyone is fawning over him because Pounders is so awesome. He says the Facebook account would be open to promoting some events such as the E-Week event. He's got 2,400 USU students so that might be a good avenue. 6:58 - Twitter question: There's a company, 30 tons of real snow are going to be hauled in, there will be a halfpipe...big event...do I start a new Twitter account to promote it? Do I use my own? Loralee advises not creating a new account, rather, using a hash tag. Something like #EWeek2010. Jill says that if the E-club doesn't have one now, they should get one and start building a reputation with it. 6:52 - If you want more information about Second Life, you can find it online here. 6:49 - Loralee Choate is now in the house, representing the SMCofCV board. 6:48 - Tyler mentions guy in Oregon (Jill says his name is Skyler) who has a large LDS community on Second Life where people gather for LDS related circumstances (no official meetings) but it's a place for fellowship. Jill adds that there's a large disabled community on Second Life and there are a lot of people who are autistic who find it as an effective way of communication. USU has some presence on Second Life. Second Life is basically free, but if you're around for long, you'll probably want to upgrade and buy more clothes or land. About $70 a year for a premium membership. 6:47 - Jason asks Jill how she got involved in Second Life. In 2007, she read that Hillary Clinton had a campaign site there, and Jill thought that was the most bizarre thing ever. 6:46 - Jill is continuing her talk about Second Life. Says USU is doing some experiments on Second Life, and there are things like Mystery Science Theater 3000 group on there. You can have dozens and dozens of people in the theater and people sit around watching the same crappy movie and everyone makes jokes about the movie. 6:45 - Jason is saying something but he's quiet and I can't hear what he's saying. I asked him to speak up but his voice is too quiet and the cappucino machine is roaring. 6:44 - Jill Parker and Jason Williams now also present from the SMCofCV Board. 6:40 - First question is from Nancy Williams and relates to "Second Life." Second Life is a 3D environment online, Preston explains, where avatars exist and operate in an online world. Nancy wants to know if it's true that people can make money in Second Life, because she's heard that people make money there. Preston Parker is explaining the economy of Second Life and the "Linden Dollars" concept. At any time, he says, there are 40 to 50,000 people online and there are about 12 million people with an account on Second Life. People interact online with their fake avatars and personas which may or may not look like them. Jill Andersen tells us that she got involved in Second Life through politics. She was kind of curious about what it was and she fell in love with it. She'd been in a lot of chat room and this took that experience a whole other step. "We kind of tell people that it is kind of a chat room with cartoon people, that you get to be the cartoon people but there's so much more potential there." Jill continues that there is some commerce there, people selling stuff for avatars and for homes, there is at least one person who has made more than $1 million a year on Second Life. Through Netroots Nation, Jill says, they had something in Second Life where people who couldn't actually go to the convention in Pittsburgh were able to attend the convention in Second Life, attempting to give a more realistic experience of the convention rather than just watching a video online. In years past, Jill says, people at the convention were also linked in to Second Life so they could respond to or ask questions. 6:38 - Preston calls the meeting to order. Nine people in attendance so far, I'm Tyler doing the live blog for you and we expect at least Loralee and Jason to be here at some point from the Board. A few other stragglers are coming in and "Ask An Expert" night is underway. 6:36 - We're starting a little late, only a handful of people here at this point. Waiting for a few more people to get in here before we get this show on the road.